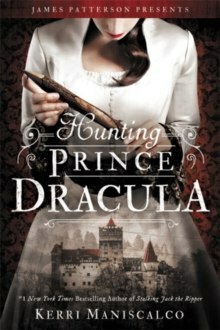 In this New York Times bestselling sequel to Kerri Maniscalco's haunting #1 debut Stalking Jack the Ripper, bizarre murders are discovered in the castle of Prince Vlad the Impaler, otherwise known as Dracula. Could it be a copycat killer...or has the depraved prince been brought back to life? Now in paperback!Following the grief and horror of her discovery of Jack the Ripper's true identity, Audrey Rose Wadsworth has no choice but to flee London and its memories. Together with the arrogant yet charming Thomas Cresswell, she journeys to the dark heart of Romania, home to one of Europe's best schools of forensic medicine...and to another notorious killer, Vlad the Impaler, whose thirst for blood became legend.